(But) in most areas, benefit dependence, criminality, drug and alcohol addiction are not the norm. In the areas we visited, they are. We find the poor. The worthy poor, and plenty who are poor through their own fault. A long-time South Island foodbank worker says, "If I was cynical, you would say they all carry a cellphone, they all have a dog, and the majority of them have Sky TV and they smoke. Where are their priorities?" "They won't go to budget advice because budget advice will address those issues. And it's not just a plain phone - it's got to be an eleborate telephone." We can vouch for the fact that the stereotypical beneficiary, shy of work and yet driving a good car, drinking, smoking and watching SKY TV, exists in good number. It is a hard heart, however, that doesn't sympathise when the circumstances are known. Even if the head shakes in disbelief. (I know that feeling well). Ben, 20, of Gisborne, an agreeable Mongrel Mob member recently patched, has a one-year-old, a partner and is on the dole. His dog, a faint-hearted mongrel, tucks into a fish head as his partner hangs out the washing. He agrees work is plentiful in the area but he's not yet ready to "commit" to fulltime work, especially in the wet and cold. The work he is talking about is often temporary and his benefit is guaranteed every week, he says. As we leave a carload of his friends arrive. Big men, none working. 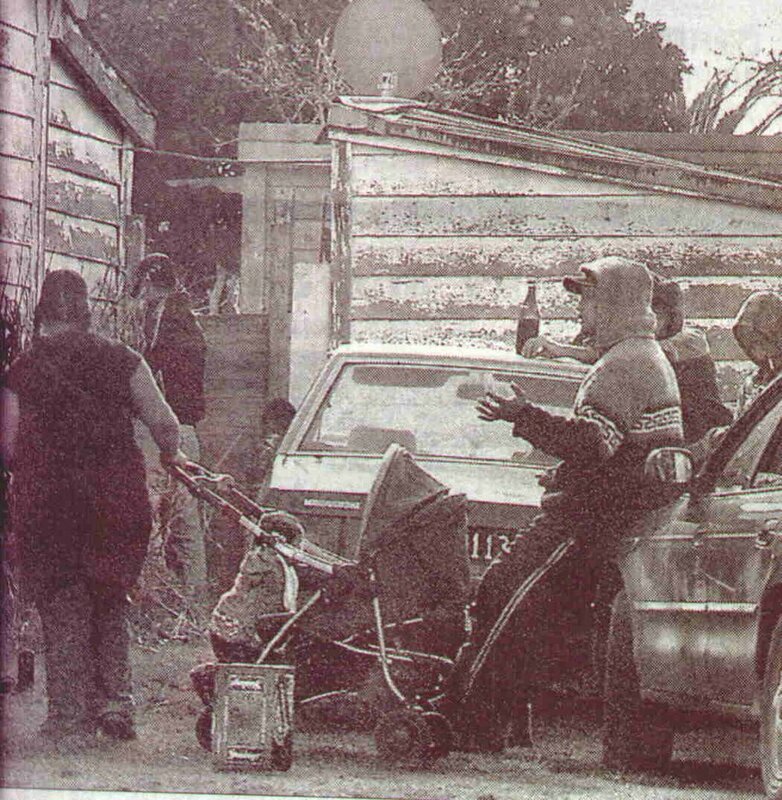 In Waitangirua, near Porirua, Meagan Darwin, 27 - mother of five aged 12 to 5 - still spends $35 a week on smokes. Her power is often turned off and she regularly runs low on food. Twenty dollars a week goes to repay a benefit she fraudulently claimed. "Smoking is my only luxury. Take it away and what have I got?" she says. Ms Darwin's children are challenging but happy and well-cared for. She has just about given up drinking because "I'm putting my kids first." We see many beneficiaries eking out a meagre and strained living. Those living honestly will always struggle unless they budget tightly and live frugally. Several beneficiaries admitted outright fraud to me. One had a boyfriend living with her, but not officially. He had his own state house (his own? )which he rented out to illegal immigrants. Many times we are reminded how small NZ is...... no one is that far from a medical centre or a major town. Nowhere is so remote that services cannot be accessed. Ruatoria has a courthouse, a police station with four fulltime staff, its own Work and Income office anda health centre. We expect to find worse. It seems as if some areas have had a clean up just for us.... We go to Clendon, which is the new Otara of South Auckland. The area is rent with gang violence, domestic assaults and dependence. Yet the house are only ten years old and still in good condition. South Auckland social worker Emelio Estaban, who has worked in the slums of Chile says, "The outside look all nice and new. The hidden part of the picture is indoors. The problem lies not so much with the buildings but the families inside them." In Kaiti, Gisborne, a (shop) attendant explains Mates beer - $5-90 for two litres - is bought only by the "alkies". The tipple of choice for the area, one of the poorest in New Zealand with a huge domestic violence problem, is Steinlager and Purple Goannas, she says. In some areas, people,often young mothers with big families, appear to lead lives of utter grimness. In a state house ghetto in Gisborne, I approach a Maori holding a child on her hip. When she speaks I see her teeth are mostly black stumps (probably thumped out of her). She is 25 with six children. She says she can't talk to us about her life. So bad you can't talk to us? "Yes" she says. Most tragically we find the mentally ill and the lonely living rough without the support of friends or family. In Kaikohe on a bitter Sunday we go to Purdy St and find Katrina Witehira, 41 and Philip Robinson, 44, paying $130 a week for a ramshackle house with warped plywood covering many windows. Both on invalids benefit because of mental health problems, they have run out of money. The power is off and there is no food. The floor lets in a cold draught through a hole in a cupboard and you can see the sky through the roof. The toilet is blocked and they sleep on a thin mattress on the floor. (Hey, but at least they are out in the community aye). 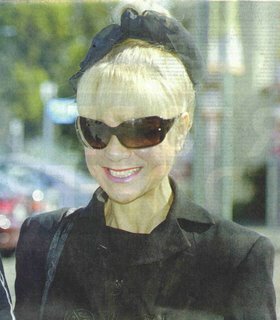 Update; According to Rodney Hide's blog he has an alibi. Umm. Now I remember why I don't read gossip columns. One of these is Goldie Hawn. Who are the other two? Oswald's been fantasizing about Father's Day. But by the sound of things it's about as far-fetched as this one. I do not support the view that the dpb is a lifestyle choice for many young women. Nor is there any research that supports it. 27,219 DPB 'clients' had added one or more children to their benefit at June 2006. At October 1, 2004 the number was 23,160. The habit is catching. Don't tell me that's not about lifestyle choice. Leo Leitch will be familiar to people who read letters-to-the-editor. His opposition to abortion is a recurring theme. 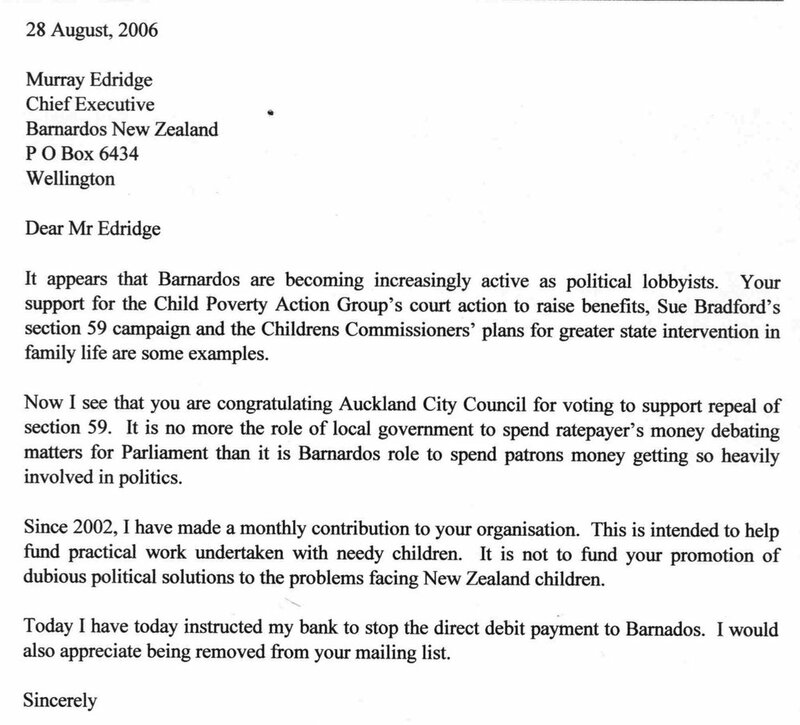 He reluctantly supported my DPB petition letting me know by fax - sent at about 2 in the morning. That must be part and parcel of his "sense of humour". Now it has got him into trouble with the law and cost him $750. TV ads had mistakenly led him to believe police officers also have a sense of humour. One could be forgiven for feeling like we live in an increasingly violent, crime-ridden country based on the events of the past few weeks. The newspapers are full of disturbing stories and murders don't even make the front page anymore. But take heart. These statistics will reassure you that we are in fact living in a relatively safe country. The Minister of Safety and Security (there's a misnomer if ever I saw one) has instructed under-resourced officers to get to a crime scene by donkey or bike if they have to. 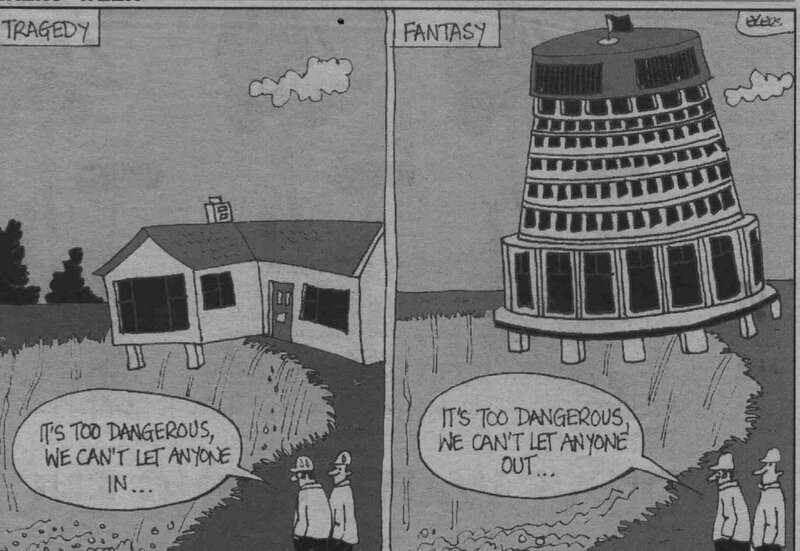 Let's hope NZ never descends to this terrible state of affairs. Paradoxically, antiwelfare-reform feminists, most of whom had assailed the idea of full-time motherhood as a noble female vocation, found themselves defending a system that paid women to stay home with children. They mocked — rightly, in some cases — the hypocrisy of right-wingers who attacked poor single mothers for not holding jobs, yet lamented the rise in middle-class married mothers working outside the home. But surely it was at least as inconsistent for those on the left to hail the movement of married women into the workforce, and then treat full-time motherhood as an entitlement for poor single women. No, single women did not have babies to collect welfare checks; but for those who were trapped in lifelong dependency, the welfare system functioned as an enabler. Statistics New Zealand usually put out a "Facts about Fathers" release for Father's Day. This year, 2006, they are saying, This Sunday 135 New Zealand men will get the ultimate Father's Day present: a baby. Two years ago they said, A baby will be a Father's Day present for an estimated 170 men this year, according to latest figures from Statistics New Zealand. In 2004 I asked why they hadn't adjusted the figure for all the babies who were born into single parent homes, some who would never know who their father is or even have his name on their birth certificate? Thousands of babies would be presents for the taxpayer, not fathers. Now, I do not know exactly how they make this calculation. Given that babies rarely arrive on the due date, Father's Day is always on the same day in the week and time in the season, I can't think of any better way than to simply divide the September quarterly births by 91 days. Given the quarterly birth rates have consistently numbered around between 13,500 and 14,500 since at least 1992 I can see no reason for the variation from 2004 to 2006. Thirty five fewer fathers on Father's Day this year? Perhaps Statistics New Zealand have decided to factor in what they missed in 2004. Or perhaps there is simply some special calculation they use of which I am unaware. More babies are now being scheduled for caesarians and Father's Day is not a 'working' day but I doubt the calculation is been based on asking every maternity ward how many deliveries they are expecting this Sunday. A number of Primary Schools were doing a project on "The Sea". Kids were asked to draw pictures, or write about their experiences. Teachers got together to compare the results, and put together some of the comments that were funny, and some that were sad. Here are some of them. The kids were all aged between 5 and 8 years. Apparently new research shows most New Zealanders approve of stay-at-home mums. That's all well and good but what do they think about unpartnered mothers, who make up almost a third of all mums? Would their attitude change if the mother had to be on a benefit in order to stay home? Unfortunately the survey doesn't ask, which I think is something of a weakness. It is worth bearing in mind if more mothers had financially supportive partners and we didn't have to pay so much tax to support them, fewer partnered mothers would need to work. We cannot have our cake and eat it too. Somebody has to pay for the welfare state. The Dominion Post reports Social Development Minister David Benson-Pope saying, The Government was paying out $1.2 million a year less in benefits than in 1999. I was wondering why he would be crowing about such a paltry amount until I checked his press release which actually gives a figure of $1.2 billion. 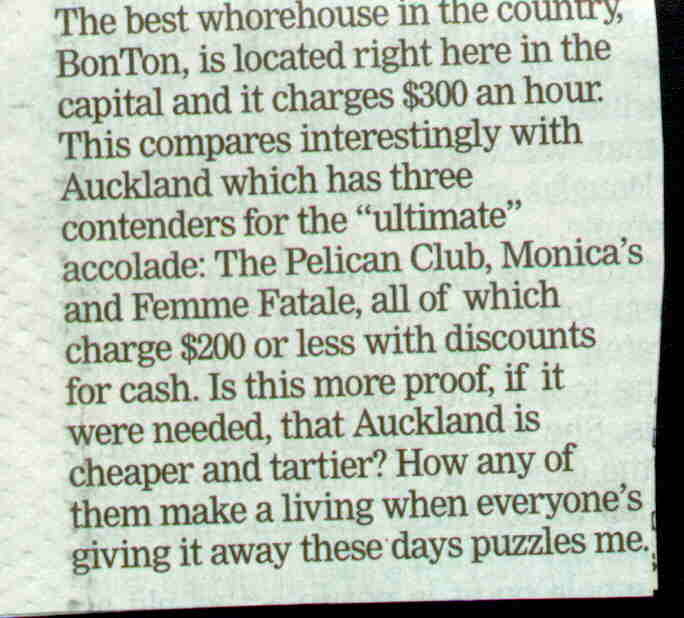 Slight typo on the DomPost's part. Nevertheless I am very surprised at this claim. If Benson-Pope is right the next figure should be $11,229. There is no way that could happen. Even if all unemployment benefits were removed the total would only drop to $12,596. 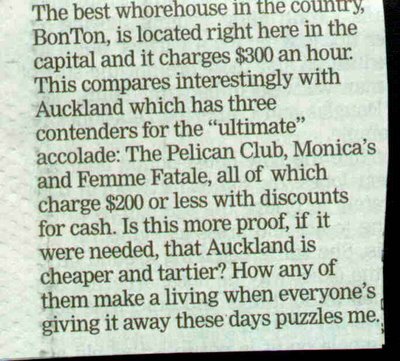 I suspect the DomPost reporter's typo is closer to the mark. Under reforms introduced by Labour, employees have the right to ask their boss if they can work part-time but there is no obligation on them to agree. In the next stage of reforms being proposed, employers would have to prove the job cannot be done part-time to refuse the request. 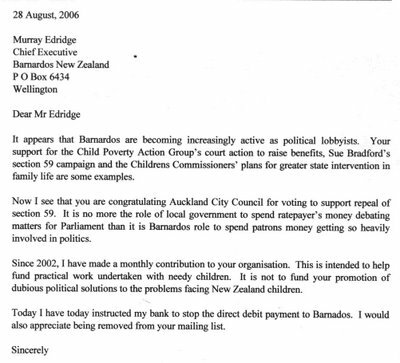 It's always a risky business for charities to get involved in politics. Of course they are free to, just as I am free to withdraw my support. From women never being able to wrest the driving wheel from their partners to only getting the privilege when driving him home from the pub, now Timaru police find half their drink drive offenders are women. And they come from all walks of life. What's going on? The feminist movement has something to do with it. ........The message has to be the same to everyone. Drunk drivers maim and kill. It doesn't matter what gender they are. That's an interesting observation. Whereas a drunk female assaulting someone has less chance of causing serious damage than a male, behind a wheel she has exactly the same potential. The killer and any accomplices obviously, the seventeen year-old whose own actions landed him in the situation, the security guards for his placement, and last but not least, the youth justice system. Parents Ian and Lorraine said they had no confidence in New Zealand's youth offender system and wanted him to experience prison after a series of "minor misdemeanours". "In an attempt to stem any escalation of a more serious nature, they officially charged Liam with the theft of their vehicle," the family said. These are not the first parents to find they have no effective back up from the police or court system. The approach to youth offending is to keep them out of court until it cannot be avoided - hence only 17 percent of offenders end up there. Now one could argue if this kid had been kept out of court he wouldn't be dead. Fair enough. But his offending would have escalated. At least that's what his parents believed and they knew him better than I do. Unfortunately his age also killed him. At seventeen he was too old for the youth court, although I seem to remember reading somewhere a district court case could be referred to the youth court for a seventeen year-old. The problem is kids know the law is soft. Parents struggling to control them get no assistance. Just check out a NZ Yearbook. Youth offending is categorised under social services. Adult offending under crime and the justice system. My heart goes out to his parents who were doing what they believed was the best by their son. What a tragedy. What a travesty. Oswald asks how our high school preganacy rate compares to the one at Canton High, Ohio. Unless individual high schools or colleges keep data I don't think we know. What is known - of the 15-19 year-old female population (est 151,050) there were 3,718 abortions and 4,138 births in 2005. This means the pregnancy rate per 1000 is 52. Factoring in miscarriage, which affects 15 - 20% of all pregnancies, the rate climbs to 59-62 per 1,000. So at the upper range 6.2 percent of 15-19 year-olds will become pregnant each year. The US high school pregnancy rate is 8.4 percent - the Canton School was double the national average. There is every chance that in our lowest decile schools the average rate is also double. So it isn't beyond the realms of reasonability to suggest that one in eight high school pupils might get pregnant in a given year at a given school.